If you can’t see it, you can’t stop it. Detect and mitigate costly cyber-attacks with contextual insights into your applications and network. According to Gartner data, two-thirds of all business leaders believe that their companies must accelerate the pace of digitalization to remain competitive. For that to happen, companies need to transform and enhance their networks. Without a dynamic resilient network that securely delivers applications and provides the visibility and analytics needed about the network, workloads, and applications, digital transformation initiatives will grind to a halt. Today, enterprises waste more than 50% of their IT budgets on inefficient application workload placement, configuration, and management. That’s why 92% of network managers are looking to expand their use of automation to maximize IT resources and increase flexibility and agility. On February 14, 2019, at Networking Field Day 20 Extreme Networks will provide an inside look at our solution for end-to-end application flow analytics, performance monitoring, and now ML-driven threat mitigation. You can live stream the presentation between 12 – 2 pm PST via Tech Field Day’s website. 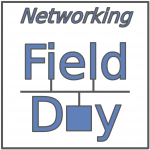 During Networking Field Day #20, the Extreme team will showcase how we are able to provide application flow analytics that leverage a single architecture from the wireless and wired edge to the data center and multi-cloud. This architecture adds context like users, devices, locations, and applications for unprecedented visibility that helps IT troubleshoot application performance issues and detect threats inside the network. Unable to live stream the event? View the recordings here or follow #NFD20 on Twitter!